The “Fortune 500” is a list of the 500 largest companies in the United States as compiled by Fortune magazine. Only 13 black executives have ever made it to the Chairman or CEO position of a “Fortune 500” listed company. Of these 13 executives, there are currently 6 active. Franklin Raines became the first black person to lead a “Fortune 500” company, when he became CEO of Fannie Mae in 1999. The statistics mentioned above are very powerful and speak to the state of race relations in America. More importantly, the question “how are Blacks benefitting from the Diversity and Inclusion (D&I) policies in corporate America,” must be asked. We must examine the history of diversity and inclusion, its intention, and compare and contrast it to where we are today in order to fully understand if Blacks are benefitting from D&I in corporate America. The origin of D&I was desegregation. When segregation ended and more Blacks began to attend college a new era was beginning as Blacks entered the corporate workforce. Even though the laws ended segregation the most important part of the equation was omitted and to this day has not been resolved that is the “conversation” between Blacks and Whites about race. In the early 1970’s and until the mid 1980’s there were not as many Hispanics, Asians, Indians (from India), or any other minority in the US. Blacks were the majority minority and the term “diversity” was not used as it’s used today. It was not until the late 80’s early 90’s that diversity became a commonly used term in corporate America. Organizations began to review world population trends. The 2050 population study startled white corporate America. That study indicated that by 2050 Blacks, Hispanics and Asians would make up 47% of the US population. With the birth of diversity other minorities entered corporate America and the conversation of racism became less important. All issues that concerned Blacks became diluted as other “minorities” issues took forefront. During all of this change Blacks continued to perform and remained loyal to their employers. 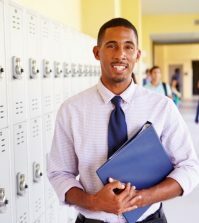 While others maybe “fast tracked” into management as well as leadership positions Black are not commonly placed in those type of programs even though they maybe out performing their white peers. 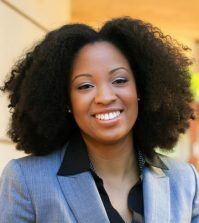 Several years ago David Thomas published an article in the Harvard Business Review titled “Race Matters: The Truth about Mentoring Minorities.” In this article he details the difference between how Blacks and White are mentored as well as the difference in the length of time it takes Blacks to reach the same management level in corporate America as their white peers. He noted that whites receive more mentoring than Blacks. He also indicated that whites received promotions faster than Blacks and once Blacks entered middle management it was another 10 to 15 years before they reached the executive level. What comes to mind is a real life example of a Black sales manager who has been with their company for five years. This manager has outperformed his peers for five years with an average of 118% to plan over five years. This sales manager has made President’s Club two of the five years and in 2011 was ranked number 1 out of all the sales managers in the company. Not only has the manager excelled but he has also developed his sales team to be high performers. In the five years in his position each member of his sales team has made President’s Club at least once. In 2010 each member of his team exceeded their sales quota. This sales manager holds a doctorate degree and an MBA. Given all the success and credentials one would suspect opportunities would present themselves to the manager however that has not been the case. There are many examples similar to the one mentioned earlier. Blacks have been winners in every aspect of corporate America yet have failed to be rewarded with executive level promotions equivalent to that of their white peers. 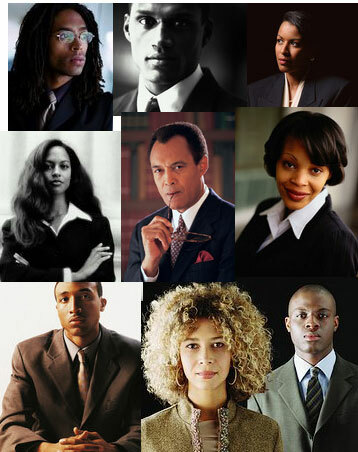 Black are winners that rarely reach the winners circle of CEO in corporate America.